On June 23, 1869, Carlos Maria de la Torre y Nava Cerrada started his term as the new Spanish Governor-General of the Philippines. On September 1868 the people of Spain who were tired of the autocratic rule of queen Isabella II, rose in revolution and succeeded in setting up a government which guaranteed the basic human freedom. This government under President Serrano sent Don Carlos de la Torre as Governor and Captain General of the Philippines. His arrival in Manila was most welcome by the liberal minded Spaniards, mestizos and Filipinos, all of whom hailed him as their liberator from the supposed tyrannies of the conservative and reactionary elements here. During his term he posed and acted as a true democrat. Some of the innovations that he introduced shocked the aristocratic and haughty Spanish residents of the city who thought that the Governor had gone crazy. He did away with the guard of halberdiers that watch his palace. The liberal regime of de la Torre, undoubtedly encouraged the Filipinos to discuss public issues and secure more reforms. Accordingly, the intellectuals among them, priests and laymen, constituted themselves into a commission of reformers and set as their main objectives the Filipinization of the parishes and the enjoyment of more political rights for their people as embodied in the Spanish constitution. Even the Filipino students of the University of Santo Tomas, inspired by the liberal spirit of the times, formed themselves into a patriotic society called "Juventud Escolar Liberal". The liberal regime in Spain came to an end in November 1870, when the Spanish Cortes reestablished the Spanish monarchy and elected Prince Amadeo of Savoy as the new King of Spain. 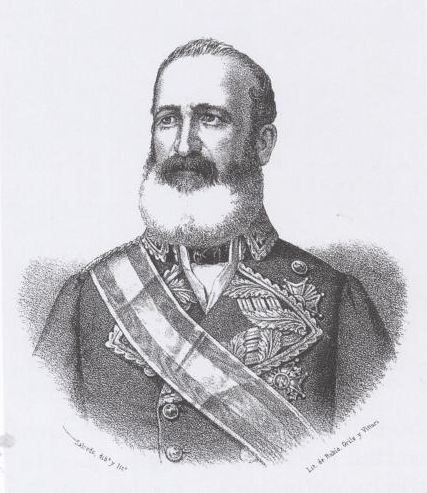 Consequently, General Rafael de Izquierdo was sent to replace Governor de la Torre. Upon assuming office on April 4, 1871, Izquierdo minced no words when he announced that he came to rule the Philippines "with a crucifix in one hand, and a sword in the other". Izquierdo promptly rescinded the liberal measures put in place by his predecessor, thus implementing harsher laws.